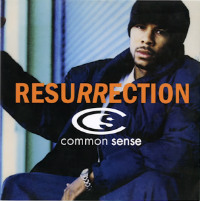 If you were to re-press a Common track on 45 – you couldn’t pick one with a better name than Resurrection, the title track from Common’s 1994 LP back when he was known as Common Sense. But hang on – it’s not one of Common’s dreaded Mr Loverman raps is it? 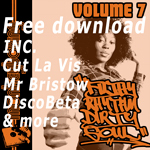 Fear not – it’s a reassuringly cringe-free slice of lyrical free association. Incidentally, you’re not actually getting the album version on this but the Extra P mix (on the A side) and the Large Professor mix relegated to the flip – weirdly, since it is superior to either the A side (also by Large Pro) or the original mix. But there you go – at least you’ve got it. Now you need to get it. It’s common sense!